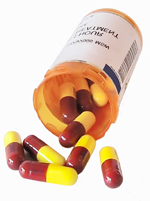 A new study has found that older antipsychotic drugs such as Haldol are better at treating schizophrenia than newer, more expensive drugs such as Zyprexa, Seroquel, and, Risperdal. Physicians say they feel the drug companies duped them. "Why were we so convinced?" he asked, referring to the widespread opinion among psychiatrists that the new drugs were worth the great difference in cost. "I think pharmaceutical companies did a great job in selling their products. That is certainly one issue. It became almost a moral issue on whether you would prescribe these dirty old drugs," he added. "It became the 'my son' phenomenon. What would you prescribe for your son?" Four years ago this week, as Malvo and Mohammed gunned down people all around Montgomery County, Maryland, my only son lay dying at Shady Grove Adventist Hospital. Having suddently fallen into a coma, he died October 5, 2002, of profound hyperglycemia, at age 39. He had taken the Lilly drug Zyprexa, gained almost 100 pounds, but there was no warning about the drug from the doctor or on the label. The drug was shown in the NIMH CATIE study to have the worst side effects of all the atypical antipsychotics, and 8000 people just finished a lawsuit against Lilly for this drug, which resulted in diabetes, hyperglycemia, and death. Now we have another study showing its worthlessness. When will the FDA act, in memory of my son and all the others who have been killed or injured by this and other drugs in its class?